Bird watching is one of the most popular hobbies in the nation, and we have one of the top selling bird seeds to go along with it. 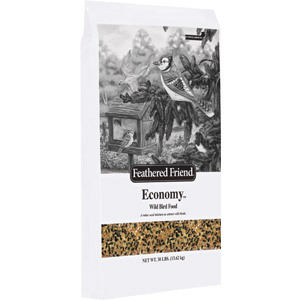 Feathered Friend wild bird food is one of the top selling bird foods in the northeast with mixes specialty designed to attract specific species. Along with these top selling mixes, the Feathered Friend wild bird seed line offers assorted specialty mixes and straight ingredients. Includes high-oil content black oil sunflower, safflower seeds and sunflower kernel. 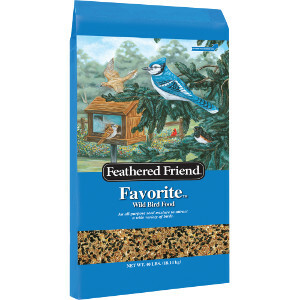 Feathered Friend Suet combines top quality ingredients into a full line of suet cakes including flavors and multi packs. 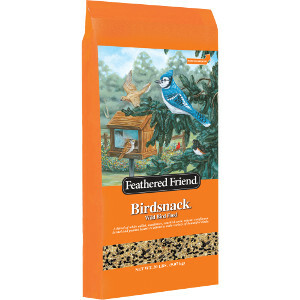 Feathered Friend Suet Cakes attract a variety of birds and is a great source of energy. For best results, place in a Feathered Friend Suet feeder and hang at least five feet from the ground. Feathered Friend bird feeders come in a variety of materials and styles, all produced to give you years or bird feeding. Manufactured by top brands like Woodlink, these feeders are designed provide years of durability. Your local Agway may carry a selection of regional and national brand wild bird products including seed and feeders from top brands like Lyric, Wild Delight, Audubon Park, Woodlink and Classic Brands Bird Feeders.